Action Garage Door Repair Specialists offer quality custom garage doors to suit any home or business. Custom doors provide you with an opportunity to come up with the perfect design for your residential or commercial building to give it added visual appeal. Having a customized door on your garage also means that you can make sure you get one that is the ideal size and shape. The experts at Action Garage Door Repair Specialists can help you design the ideal custom garage door for your home or business in the greater Dallas, Fort Worth, Austin, San Antonio, and Houston. For over 30 years, we have been handcrafting quality wooden garage doors and have built a solid reputation for being the best in the industry. We also have steel and overhead garage doors, making it easy to find a style that fits your requirements. Our experienced team of technicians can help you design a garage door which matches perfectly with your home’s color and character. When you want a custom garage door, one of the first factors to consider is the size. If you have a standard garage, your garage door will need to be made in a standard size. For single garage doors, measurements are usually 8 x 7 feet, 9 x 7 feet or 10 x 7 feet. 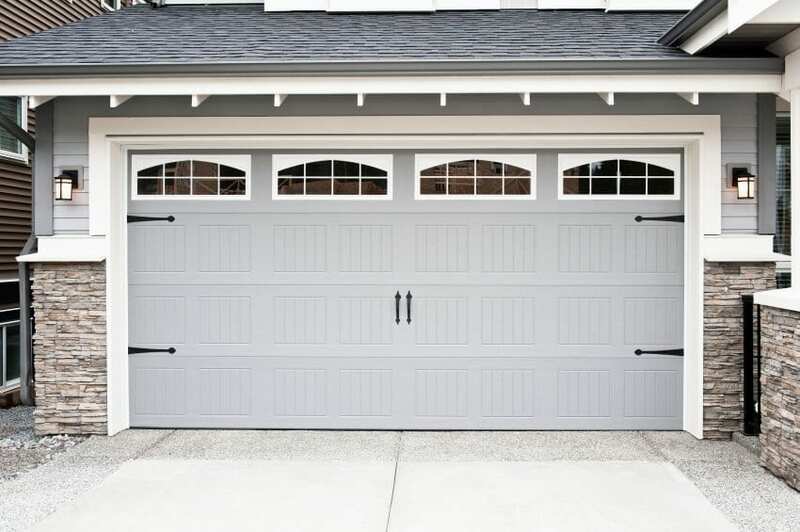 For double garage doors, standard measurements are usually 12 x 7 feet, 14 x 7 feet or 16 x 7 feet. You can also get larger or taller garage doors if you have an RV or other large vehicles that you’ll keep in your garage regularly. For commercial garage doors, standard sizes are generally 32 feet x 2 inches wide and 24 feet x 1 inch high, but this varies. When determining the right size for your custom garage door, you should consider the sizes, types, and the number of vehicles you keep in your garage. Our experts can help you figure out what size door would work best for your residential or commercial garage. You’ll find that there are many custom garage door designs to consider for your home or business. One of the first decisions you’ll need to make when choosing a custom door is its material. Wood garage doors offer warmth and elegance, while steel doors provide a high degree of durability. Other material options you might want to look into include composite and vinyl. Custom garage doors are available in a wide range of styles. Our team of experts can go over your options and help you choose a door style that complements your home or business. Pre-painted, durable steel options in various designs. While this seems like a lot of design decisions to make, our garage door experts can assist you in making each one so that you end up with a design that you’re fully satisfied with. Our team will also install your new custom garage door for you. Building a custom garage door provides you with a chance to have an outstanding quality designer garage door for your home or business. Designer garage doors give residential and commercial buildings added style, as well as high quality and durability. These types of doors combine function with style while also offering a more distinctive design overall compared to traditional or standard garage doors. When it comes to choosing designer garage doors for your home or business, you can depend on our experts to provide you with the assistance you need. Our professionals will guide you through the process of selecting a designer garage door that perfectly suits your building. Our quality, custom garage doors can be personalized to fit the specific style of your home. After selecting the wood, hardware, windows, and style, we will transform your garage door into a one-of-a-kind work of art. Let our reputable technicians help you find the right combination that best coordinates with your home’s exterior or let us know your vision and we’ll bring it to life. At Action Garage Door Repair Specialists, you can rely on us for custom garage door design and installation in the Dallas-Fort Worth area, Austin, Houston, and San Antonio. At Action Garage Door, we are committed to our customers. We produce quality results by using reputable products from the nation’s leading manufacturers. Let’s get started on your personalized garage door. Find out how custom garage doors can transform your home.